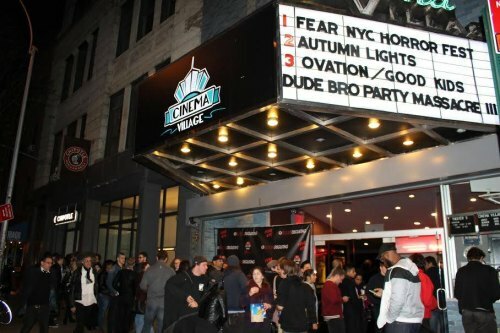 Submissions are now being accepted for FEARnyc, New York City's biggest horror film festival. Sponsored by Bloody Disgusting and Dread Central, FEARnyc ​will take place October 23-29, 2017. Filmmakers have their films screened in Times Square​ before an audience of industry professionals, fans and the media​. Last year's jury included ​some of the top names working in horror including ​Robert Eggers​ (Writer/Director, The Witch), Kate Siegel (Writer/Actress, Hush) and Peter Phok (Producer, House of the Devil)​. FEARnyc has been featured in the NY​ Times, Entertainment Weekly, Time Out NY and more.